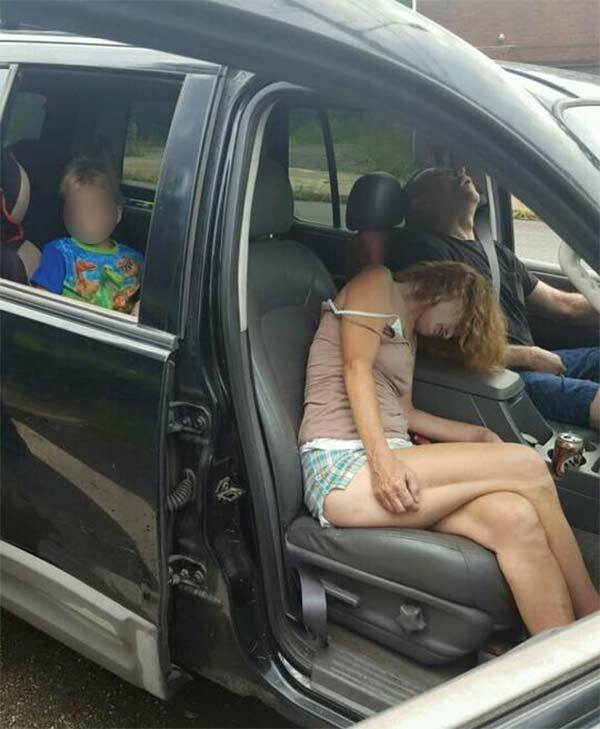 EAST LIVERPOOL, OH -- An Ohio police department says it's trying to illustrate the impact of the heroin and painkiller epidemic by sharing photos of a 4-year-old boy sitting in a vehicle behind slumped-over adults who were later revived with an overdose antidote. In a Facebook message , East Liverpool police say they're sorry if people are offended, but they want the public to see what happens and they want to be a voice for the child who witnessed the scene. 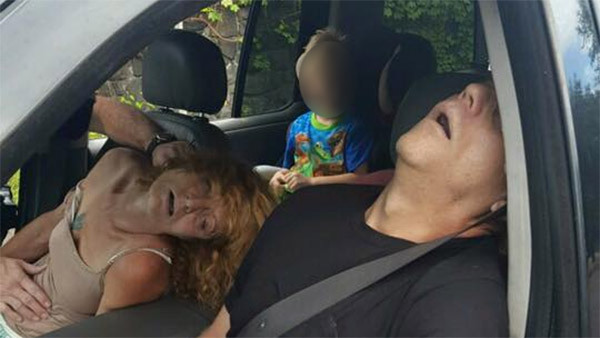 Police in East Liverpool, Ohio released these images they say to illustrate the impact of the heroin and painkiller epidemic. Police say an officer watched the vehicle weave erratically and stop, then approached and noticed signs the driver was impaired. The officer says the driver indicated he was taking his unconscious female passenger to a hospital, then became unresponsive himself. The officer called paramedics, who revived the pair. They face child-endangering and other charges.